Defense contractor Bechtel and the University of California are in the running even though they have run the lab as partners for the last decade and amassed a record of worker health and safety violations. In the coming weeks, the U.S. Department of Energy will select a new team to run Los Alamos National Laboratory, the birthplace of the atomic bomb and one of the government’s most important nuclear weapons facilities. The prize: A contract lasting up to 10 years and worth more than $22 billion dollars, with the prospect of hundreds of millions more in bonuses. The leading contenders: Defense contractor Bechtel and the University of California, which have run the lab as partners since 2006. Their joint management company, called Los Alamos National Security, lost its contract for serious accidents, as well as worker health and safety violations, and amassed $110 million in fines and lost performance bonuses for those lapses. Now, Bechtel and UC are competing against one another for the new contract as the Department of Energy embarks on a new era of nuclear weapons production, one expected to grow budgets and staff to levels not seen since the end of the Cold War. Analysts and experts say the fact that Bechtel and UC are even in contention for such a plum contract shows that the government prioritizes the lab’s nuclear-related work over workplace safety. Indeed, the evaluation criteria for applicants places more emphasis on experience with nuclear facilities than it does safety or health considerations. A third team, led by the University of Texas system, is also bidding for the new contract. David Jonas, a Washington, D.C., lawyer who previously served as general counsel of the National Nuclear Security Administration, said contractors can “rehabilitate themselves” but acknowledged that the bids by Bechtel and UC posed a conundrum, in which past experience can cut both ways. The Department of Energy selected the consortium led by Bechtel and UC to take over Los Alamos in 2006 after a series of significant safety and security lapses and mistakes by the California system, which had run the lab exclusively since the 1940s. Despite being effectively fired for these problems in 2003, UC was allowed to be part of the new leadership structure. The consortium represented a powerful force, rich with deep political ties and a longstanding nuclear heritage. The new management structure was for-profit and included bonuses intended to improve performance. But problems persisted. Since 2006, the National Nuclear Security Administration’s annual review of Los Alamos has given lab managers consistently high marks — averaging 90 percent — and related bonuses for their success with nuclear missions. But these successes were tempered by much lower scores — averaging 61 percent — for operations and infrastructure, categories that include worker health, safety and environmental programs. The lab failed to meet NNSA operational standards for three years in a row, between fiscal years 2013 and 2015, with problems that included losing control of radioactive materials on more than one occasion, leading to the spread of contamination, worker overexposure to fumes and other injuries. 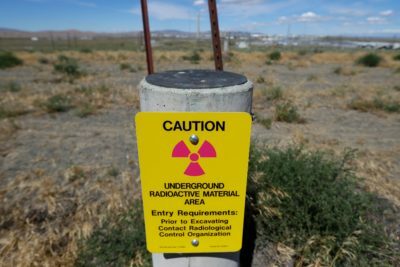 In early 2014, an improperly packaged Los Alamos waste drum burst in southern New Mexico and exposed more than 20 workers to radiation, shutting down the nation’s only nuclear waste disposal site for nearly three years — and costing the lab’s operators $57 million that was docked from their bonus. Soon after, an electrical arc explosion led to the hospitalization of two workers, the second electrical incident in a two-month period. A 2016 audit of the lab by the Department of Energy’s inspector general also found that from 2009 to 2014, lab managers failed to address 73 percent of nearly 200 “high-significance” items related to environment, health and safety, nearly half of which were marked “resolved” even though the root issue had not been fixed. The report also called into question the lab’s ability to fix — and in many cases even document — known problems. In the last year, the lab has been criticized by the Department of Energy’s inspector general for losing track of beryllium, a toxic metal used in nuclear weapons production, small amounts of which can cause lung cancer. Separately, a federal safety board faulted Los Alamos for ongoing shortcomings in its ability to respond to emergency situations and for violations of safety rules involving fissionable materials, which can cause a runaway nuclear reaction. Workers have been burned by unlabeled hazardous waste and they have been contaminated with radiation on several occasions since August as the lab embarks on building grapefruit-sized plutonium triggers that ignite nuclear bombs. The lab also has had successes over the last decade, including creating technology used for the Mars rover and in advanced disease research. In the last year, the NNSA called the lab’s engineering performance “superior” and said it met goals for four major weapons systems. The NNSA began the move toward changing contractors in 2015. In soliciting applicants to take over the lab this October, it called for a “culture change” at Los Alamos, a sprawling, 35 square-mile campus of nearly 12,000 employees. The process has been largely secret, but the identities of three bidders have become public. The University of California has partnered with Texas A&M University, Energy Secretary Rick Perry’s alma mater. The two universities already work together to run Lawrence Livermore National Laboratory in California. Bechtel has partnered with Purdue University in Indiana. Purdue conducts research with Sandia National Laboratories in Albuquerque. Bechtel has had its name attached to a seemingly endless list of federal projects dating back to the Hoover Dam and been attached to nuclear weapons projects nearly as long as UC. 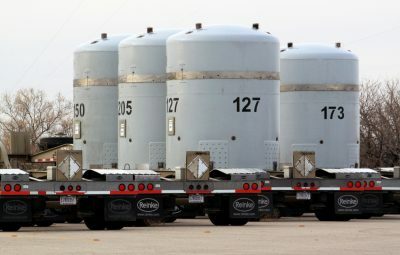 Currently, Bechtel manages several other federal nuclear projects in Washington, Tennessee and Texas. Several of its former executives, meanwhile, have staffed key cabinet positions in the past 45 years. The third bid is anchored by the University of Texas system, also in Perry’s home state, which has no experience running a national laboratory. UT was part of a bidding team for the lab in 2005, alongside Lockheed Martin. UT also made an unsuccessful bid for Sandia’s contract in 2016. Spokespeople for Texas A&M, the University of Texas and Purdue declined to comment until the contract decision has been announced, citing respect for the bidding process. A spokeswoman for the nuclear security agency did not answer a question about why Bechtel and the University of California are under consideration given their poor safety performance as current lab managers. Instead, she referred a reporter to general information about the bidding process on the agency’s website, which outlines the elements it is seeking in a new contractor as well as the criteria used to evaluate bidding teams. Allison Bawden, the director of natural resources and the environment at the Government Accountability Office, said the nuclear security administration is insular in selecting new lab managers, choosing between the handful of large companies with an entrenched history in the energy or defense sectors. The agency relies on “past performance,” but that mostly involves experience running a nuclear lab and not safety issues. A 2016 GAO report found the Department of Energy’s management and operation contracts have, since the 1990s, been “a high-risk area vulnerable to fraud, waste, and abuse.” The Energy Department spent $19 billion the prior fiscal year on 22 such contracts for national labs, but the department rarely considered alternative management structures or analyzed “lessons learned” from previous contracts before awarding new ones, the GAO said. Bawden added that when companies form management teams, it makes it difficult to separate out the performance of one or two members from the rest of the team. Public input isn’t sought. “There isn’t a lot of information out there,” she said. 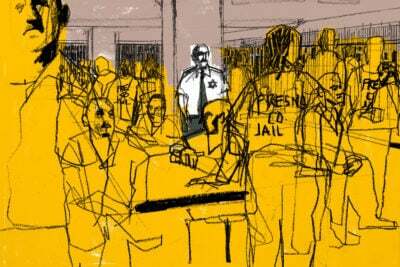 If UC or Bechtel is selected, it wouldn’t be the first time the government chose a contractor with a recently troubled past. 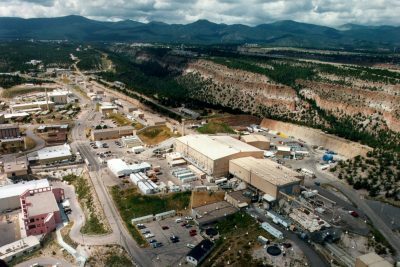 In December, the Department of Energy awarded a five-year, $1.4 billion contract to BWXT, in partnership with Newport News Nuclear, to oversee the environmental management of vast quantities of nuclear and hazardous waste produced during the Cold War at Los Alamos. BWXT is part of the current management team at Los Alamos and also helps run the Waste Isolation Pilot Plant in southern New Mexico, where the 2014 drum accident occurred. BWXT had its bonus reduced by $207,000 after workers were splashed with toxic chemicals at an Ohio facility in 2015 and was penalized $100,000 for an electrical injury at the New Mexico pilot plant last year. In March, the company’s chief counsel, responsible for compliance, said he would resign by the end of the summer. 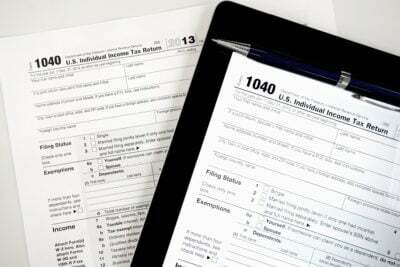 Jud Simmons, a spokesman for BWXT, said the departure is unrelated to the company’s work or performance and referred questions about the company’s performance to another spokeswoman who said she was unable to comment by deadline. The University of California and Bechtel also have a history of fines apart from their current joint management team. In addition to several million dollars in fines it racked up for work done at Los Alamos between 1996 and 2005, the University of California was fined $1.3 million during that same period for health and safety violation at Lawrence Livermore National Laboratory in California. The fines were largely waived because it operated the lab as a nonprofit. As at Los Alamos, the government terminated the university’s exclusive contract at Lawrence Livermore and UC now operates the lab as part of a consortium. Bechtel has accrued several million dollars in fines for health and safety violations at other facilities.In 2012, a worker’s toes were amputated while working at Hanford nuclear site in Washington state and Bechtel was fined for “systemic weaknesses” in worker safety and for failing to “control potential hazards.” The incident came on the heels of an electrical arc incident at Bechtel’s Tennessee facility. 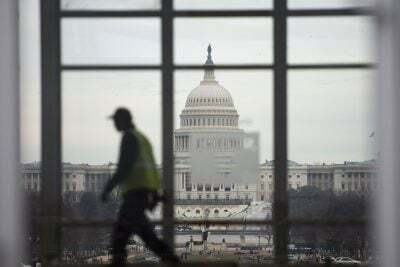 And in late April of this year, the Department of Energy withheld more than $500,000 in potential bonuses from Bechtel after a worker was injured from a burst pressurized steam pipe at the company’s waste treatment facility in Washington.